227 g. | 8 oz. The Venus Mineral Bath is formulated to promote feelings of wellness and personal happiness. 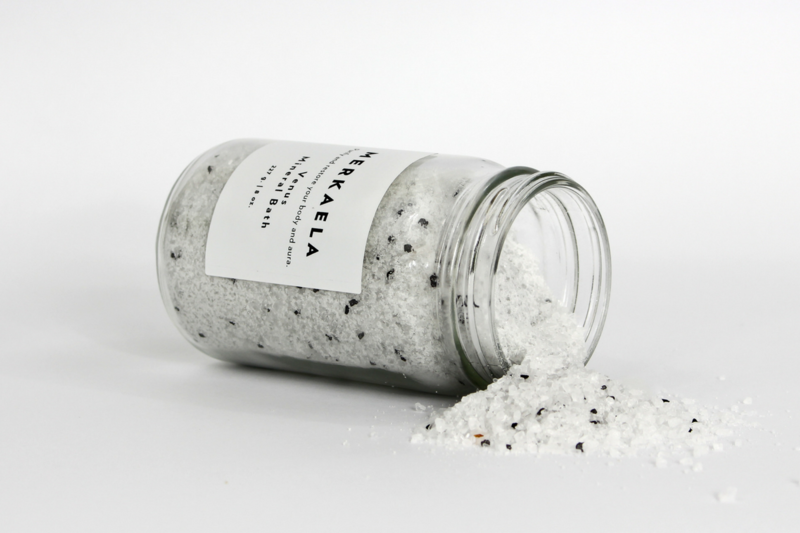 The artisan salt blend has many antioxidant properties that will help keep your skin looking young, smooth and clear. Our mineral bath is great for supplying the body with much needed magnesium and other nutrients, alleviating pain and soothing aching muscles. Ingredients: Dendritic Salt, Epsom Salt, Mediterranean sea Salt and Black Hawaiian Sea Salt, Sodium Bicarbonate and our Special Herbal Venus Blend (Frankincense essential oil, Rose essential oil, Ylang-Ylang essential oil, and Pine Essential Oil).